For many years, a trained operator used a lathe to rotate work material by hand. However, after Computer Numerical Control (CNC) was developed, things changed dramatically. Today, CNC lathe machining is performed by following instructions provided by a computer. The appropriate numeric for the part or component being made is fed into a special computer, which then directs CNC lathe machining to perform its job. 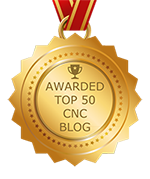 With CNC machining, the process is controlled by a computer. Instead of a human operator overseeing the process, machining is done with Computer Numerical Control, or CNC. Until CNC precision machining was invented, workers were required to use crude tools coupled with manual labor. Some people did good work but there is no comparison to the results seen today from modern machines. In addition to high-tech CNC machining options, workers are now highly educated and trained. A CNC machining shop is the physical location where CNC machining is performed. Also known as Computer Numerical Control, this type of work involves milling processes that are performed automatically thanks to information received from an internal computer. With this, the fabrication of different materials is possible. In addition to CNC milling being used for metal objects, it is commonly the preferred choice for woodworking. With this method of operation, there are many times when wood cutting is required but compared to metal fabrication, producing holes takes less pressure. For that reason, drill bits are quite different for the two different types of materials. CNC turning is a machining method whereby a pointed cutting tool is fed parallel onto the surface of material that is being rotated. Often a process performed in a machine shop, the rotation is done with a lathe, a machining tool that dates back to ancient Egypt. This particular type of machine is used to secure and spin the part that is being machined. To cut a circular cross-section in solid materials or to make existing holes larger, a CNC drilling machine is used. While there are other methods, this option is more precise. With this, the cutting portion of the tool presses against the material and then rotates anywhere from hundreds to tens of thousands of revolutions per minute (RPM). As a result, chips of the material are cut away from the hole being drilled. For CNC machining, there are several unique types of drill bits, each used for a very specific purpose. However, all drill bits are designed to produce extremely accurate results. With this, manufacturing capabilities are greatly enhanced. By using computer numerical control (CNC) parameters, tasks that at one time would have taken a lot of time and effort is now mastered quickly and efficiently. Read more!